Many first home buyers do not realise the array of issues they may face when renovating their new home. For example, if you are purchasing an older home, building material such as asbestos may have been used in the walls and roof. If this is the case, professional asbestos removal can cost you hundreds of dollars, and not to mention an increase in the amount of time it takes to renovate your home. Furthermore, the structural integrity of the property may have declined over the years, leaving you to deal with crumbling walls or a leaking roof. More serious issues, that have the potential to harm you and the people you live with, include unsafe wiring, timber decay and cracked foundations. Thirty years ago, Access Building Inspections realised that home buyers new to the market did not realise that they were purchasing homes that had a plethora of faults, that were not only costly, but also time-consuming to fix. Hence, they began to offer customers a Pre-Purchase Inspection. A Pre-Purchase Inspection involves a qualified team of experts assessing the property you are about to purchase, which will assist you in making an accurate decision, before you sign the paperwork. What is involved in a Pre Purchase Inspection? Access Building Inspections employs an experienced team of professionals who are qualified in finding faults in any residential development. This team of people are trained to determine whether harmful chemicals are present, if the walls are damp or cracked, whether your roof is sagging, and also determine if the foundations are still solid. Furthermore, Access Building Inspections are able to tell you how much it will cost to repair these faults, giving you an indication as to how much money you will need to spend. Like most first home buyers, you would assume that a ‘new home’ means that the building has passed all of the requirements, and is ready to be fitted out with your furniture. However, this is not always the case as some properties have not been built to the expected standard. 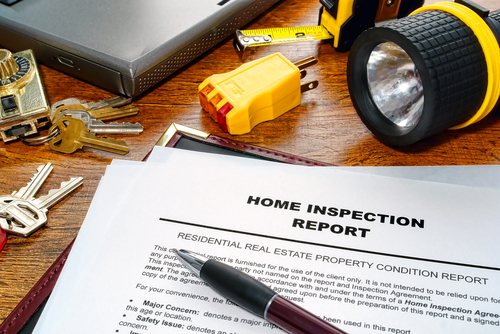 Hence, when the experts at Access Building Inspections carry out a Pre-Purchase Inspection, they will ensure that the home has been constructed to the Building Code of Australia and inform you of any existing defects that you will have to solve if you choose to make a purchase. No matter who you are, whether that would be a first time home buyer, someone who is looking to buy an investment property, or a person looking to buy a new family home, Access Building Inspections is here to assist you. We want to make sure that you buy a home that is exactly what you expected, by inspecting the property before you sign the paperwork. So if you need a pre purchase inspection in Hobart, give us a call today, and discover how we can assist you!